She's spent the last few years as an outspoken advocate for marijuana. In addition to wearing costumes printed with the potent plant's leaves, she has songs about 'smoking pot' and even pulled out a blunt on stage at the European Video Music Awards in 2013. 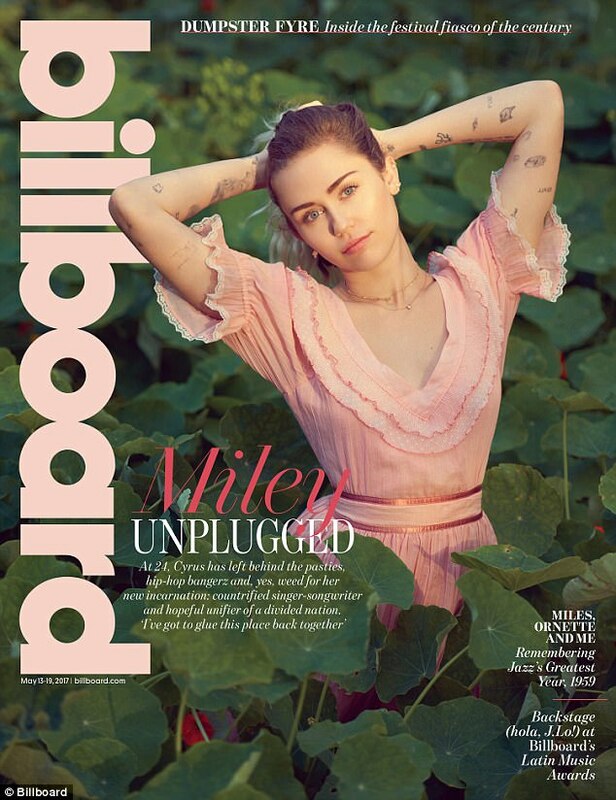 But now, Miley Cyrus is coming clean about staying sober 'for a second' in the new issue of Billboard Magazine, where she also opens up for the first time about getting back together with ex-fiance Liam Hemsworth.